Water Damage Restoration Software by RestorePro. Manage Jobs, Estimates and Customers. Estimates and Sketches are a couple of our features. Commerical and Residential Drying Software. 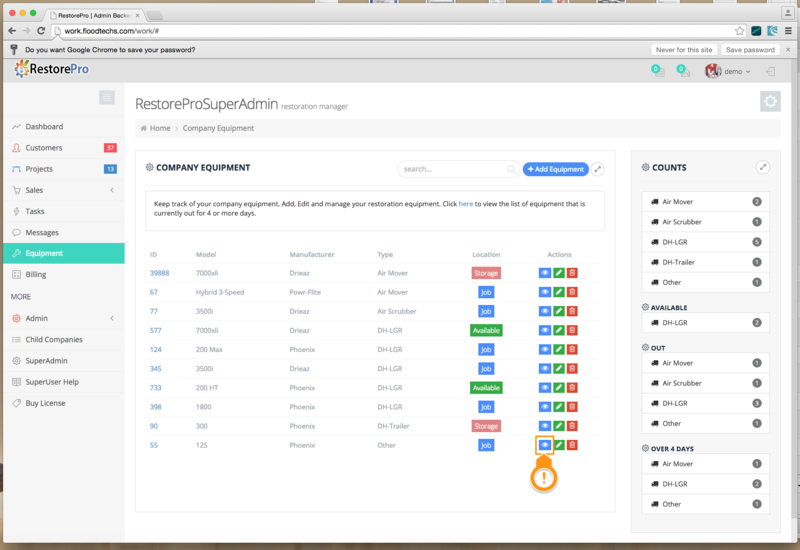 Try out our RestorePro® Restoration Management Software FREE Version! Supercharge your restoration operations! Developed by a Restoration company. Pricing starts as low as $40 per month. No Contracts! $150 setup fee is waived for GO accounts! $0 Setup Fee and plans as low as $40 per month!Expires 28 Feb 2018! 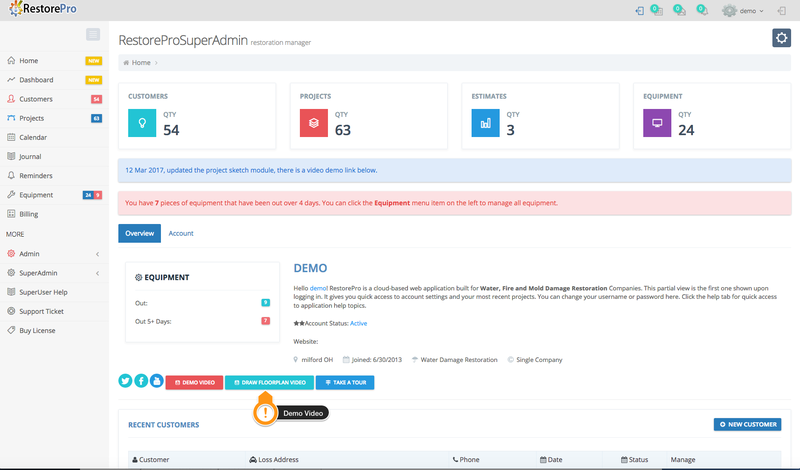 RestorePro® is a Cross-Platform application designed specifically for Restoration Companies. Setup only takes a few minutes and our video introduction will show you exactly how everything works. 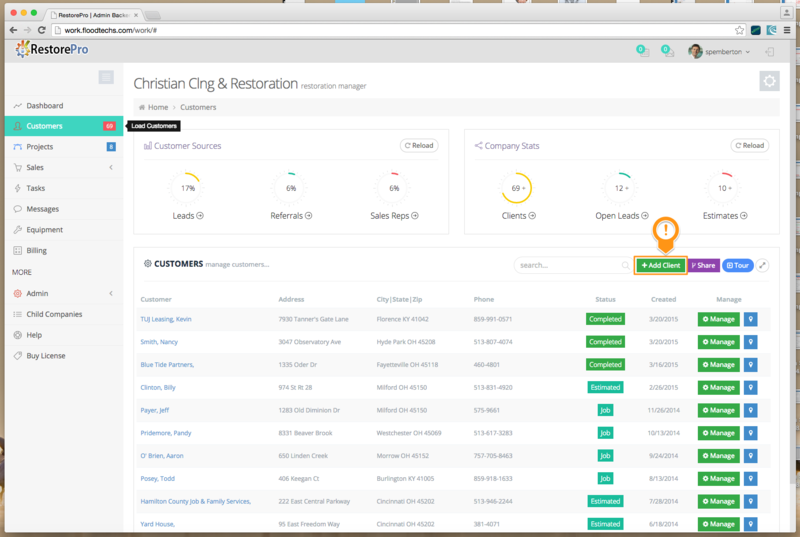 Grow your restoration company using our Restoration Management Software for less than most cellular phone monthly costs… No upsells, no complicated plans, and no strings attached. Plus, you can try it free for 10 days. We offer free email support, even if you’re not a customer yet. From the first contact to after-sales service, RestorePro® Restoration Management Software streamlines day-to-day tasks and allows for more focus to be placed on growing your business. 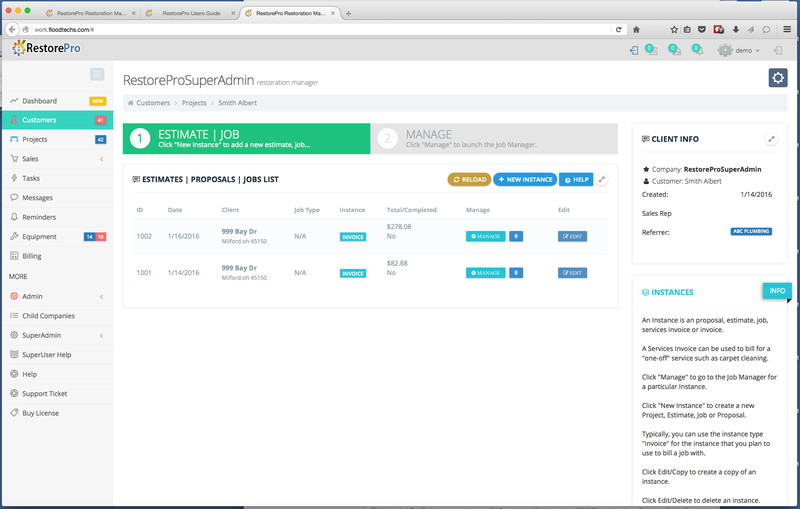 Manage Sales Reps, Users, and Equipment in the Home Module. There are 16 modules in the job-manager that allow management of every element of a restoration project. Readings. Enter readings at the jobsite. Project Equipment. Check equipment in or out at the jobsite. No more lost equipment. Line Items. Manage from the jobsite or office. Images. Upload from any device. Project View. Keep clients in-sync at all times. Sketches. Draw sketches using mobile device. Custom Forms. 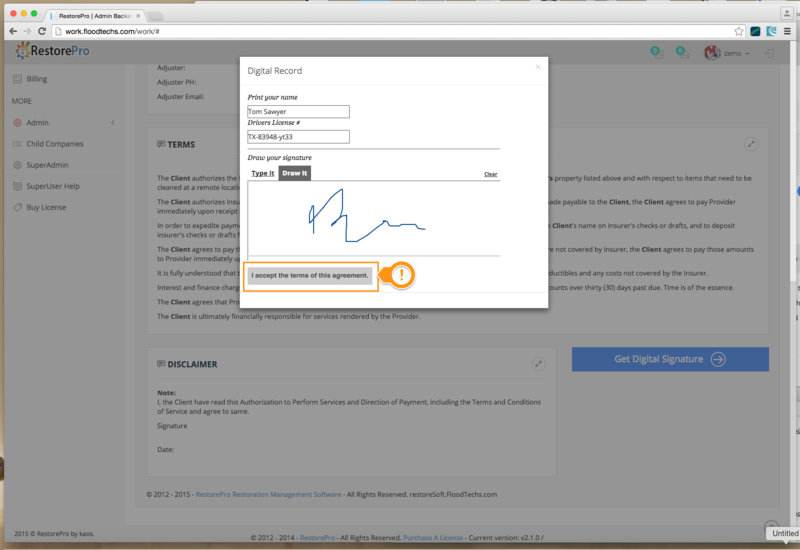 Create your own forms that can be signed digitally on a table device or larger. Our invoicing module has 200+ job items that can be quickly added to your invoices. 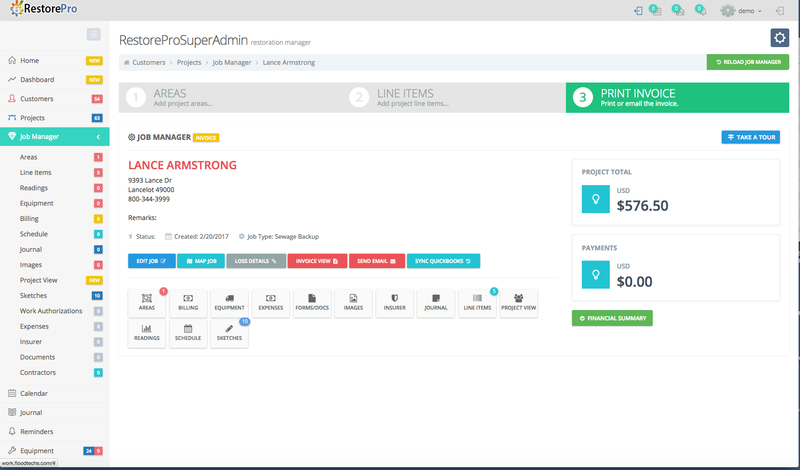 Create your own customized quick list of commonly invoiced line items. Our estimating module allows you to quickly create estimates on the job-site and email them as a pdf file to a customer. 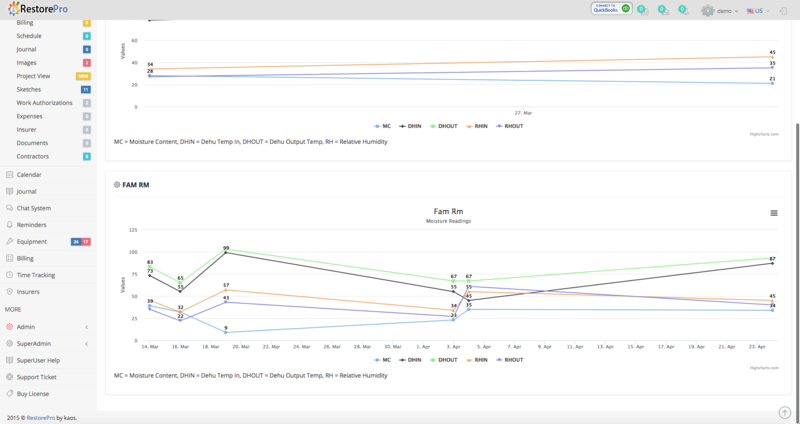 Track, assign and manage all of your equipment. Know what jobs have equipment and what you have remaining in inventory at all times. RestorePro Restoration Software for Water, Fire and Mold damage. Sketch Module. RestorePro Restoration Software for Water, Fire and Mold damage. Equipment Module. RestorePro Restoration Software for Water, Fire and Mold damage. Line Items Module. 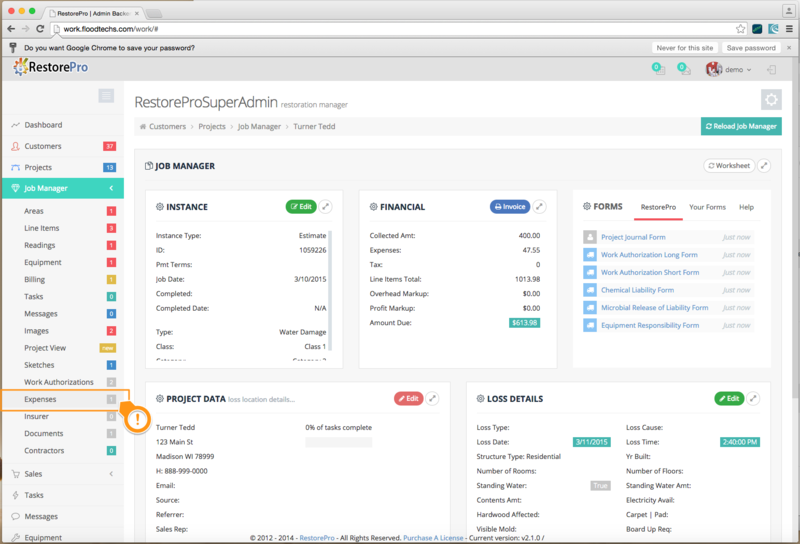 Our Restoration Management Software was specifically created for Water Damage Restoration Companies and developed by a Water Damage Restoration Company. Other users can interact with the data, on or off-site. Categorize and view data for multiple locations. Create region groups. Quickly create professional looking invoices and estimates at the job-site or in your office. Work Authorization Forms and Restoration Procedures are available for print also. 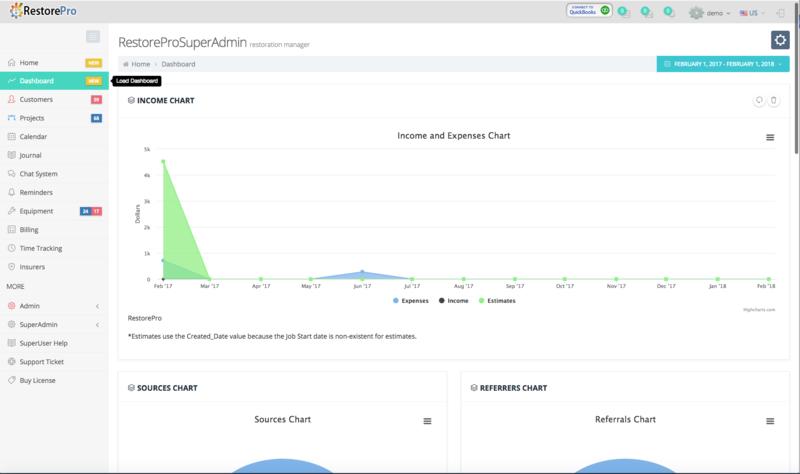 Manage all of your lead sources with ease. Track lead lists and contact attempt history. We host your data on our virtual server. Conveniently Access your data anywhere where there is a internet connection. All data is shared at the database level. No sharing required. Centralized contracts. Quickly and easily automate the process of updating job processing, estimating and creating invoices. There are over 200 preset commonly used line items available. From the first contact to after-sales service, RestorePro® Restoration Contractor Software streamlines day-to-day tasks and allows for more focus to be placed on growing your business. We were using Excel Spreadsheets and hand-writing invoices prior to trying RestorePro®. Your software has tremendously helped our company focus more on doing Restoration work. 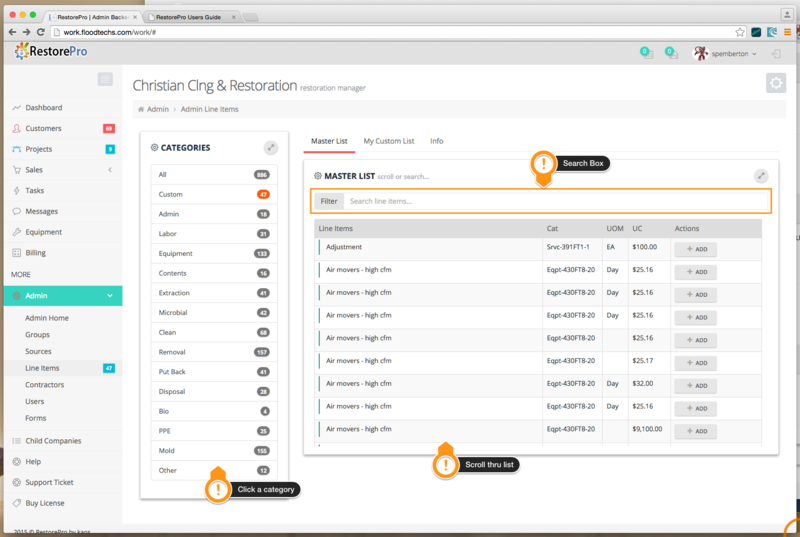 If you are starting a new water damage restoration company, this software is a must have! This is a welcome addition to our tool set. Eric M., EGM Construction Services. Our company is a new startup and this is just what we needed to lessen the challenges of being a new company. Allison V., Galaxy Clng & Restoration.